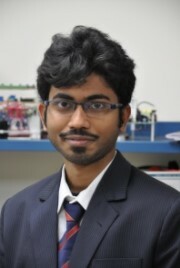 Ayan Mallik, an Electrical and Computer Engineering Ph.D. student, is one of the 4 winners of the university-wide Kulkarni Foundation Summer Research Fellowship (2017), which supports UMD doctoral students who are graduates of the Indian Institute of Technology (IIT). Mallik received his Bachelors of Technology and Masters of Technology degrees (under 5 years Dual Degree Program) in Electrical Engineering from IIT Kharagpur in 2014. He is currently a PhD student under Prof. Alireza Khaligh (ECE/ISR). His research interests include the design, modelling and control of power electronic converters, highly efficient & high power density solutions for power conversions in the applications of more-electric-airplanes, electric vehicles and data centers.